So I’m buying myself a bit more time for the tale of my Disney adventures… I’d hoped to get to it this weekend but got sucked into a ukulele vortex powered by the thrill of amplification. So today you get a Mailbox Monday because it’s quick. And you’re busy anyway, right? 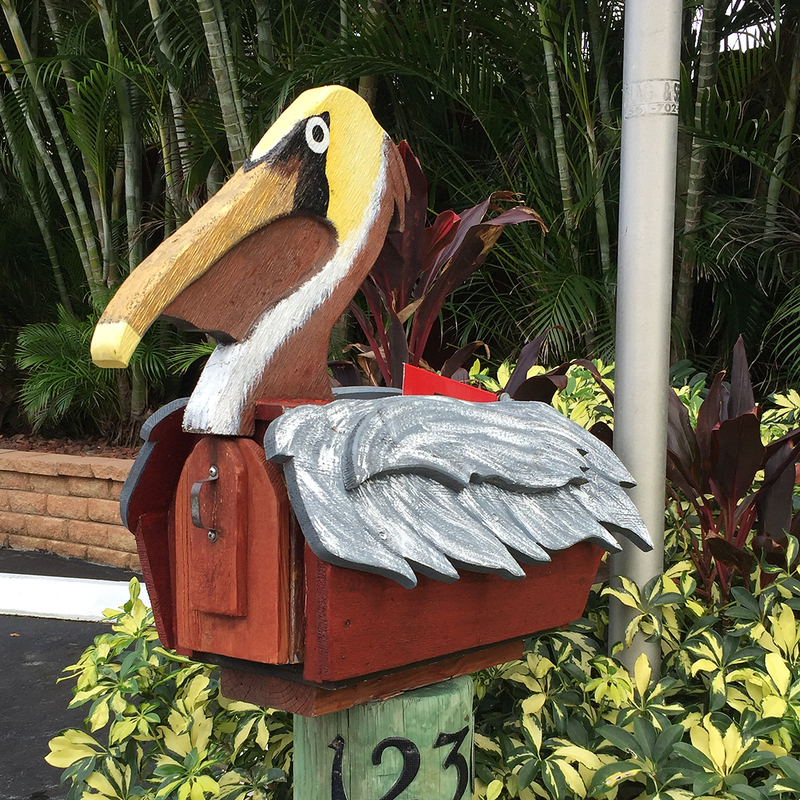 This is the only other pelican mailbox I’ve seen around town, and I have to say, it really takes things to the next level. Check out the detailing on that paint job! Makes our little pelican look amateurish. Even moreso now because our winged box is currently headless after damage resulting from something all too common here: shoddy workmanship further degraded by the onslaught of summer humidity. Our head’s in ICU as I type. Reattachment surgery scheduled later this week… wish me luck!